You'll be £4.99 closer to your next £10.00 credit when you purchase Haig's Medical Officer. What's this? Despite countless conflicting assessments, Field Marshal Douglas Haig remains one of the most controversial and fascinating characters in British military history. To some he was a mindless butcher, to others a true patriot who masterminded Allied victory in the First World War under the most trying circumstances. 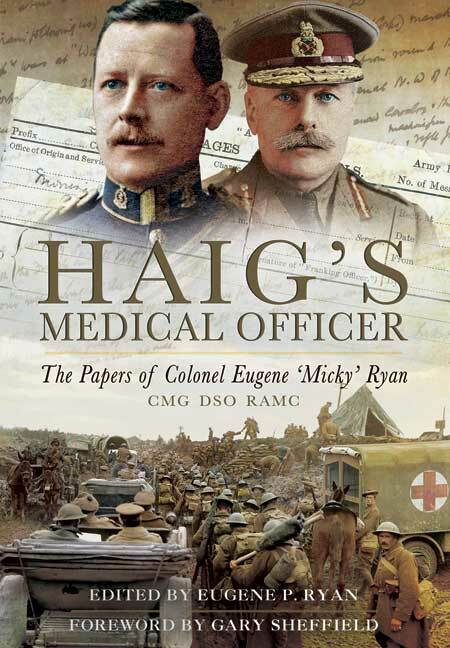 The papers of Colonel Eugene 'Micky' Ryan, Haig's long serving doctor and confidant, are a significant find as they throw fresh and invaluable light on the life and character of this enigmatic man. Ryan studied medicine at Cork and Edinburgh. He was commissioned into the RAMC in 1901 and saw active service in South Africa. He first met Haig in 1912 and became Medical Officer to Haig's HQ 1st Corps in 1914 and moved with him to 1st Army that December. Ryan saw service commanding two Casualty Clearing Stations before being appointed Medical Officer to the C in C (Haig) in September 1916. Haig's and Ryan's relationship, while primarily professional, blossomed into a friendship of mutual respect and trust which lasted until Haig's death in 1928. Ryan delivered the Haigs' long awaited heir, Dawyck, in 1918 and advised during Dorothy Haig's illness in 1926. Fortunately Ryan kept meticulous diaries which, written from such a unique viewpoint and with constant reference to Haig and his family, are of historical importance: the Foreword, written by Professor Gary Sheffield – a leading authority on Haig's life and work, attests to their significance. ... Throughout, the editor has taken pains to draw out every reference to Ryan's relationship with Haig, which encompasses looking after his wife, children and “bullying” Haig into taking rest breaks during the height of the war. One is left with an impression of a friendship that was based on absolute trust and faith in each other's professional abilities. Eugene P Ryan has made a useful contribution to the canon of works relating to senior officers in the war and has provided more material for those particularly interested in Haig. As an insight into the management Royal Army Medical Corps, it provides a tantalising glimpse into an under-researched area. He has navigated skilfully the twin demands of presenting and interpreting a primary historical source whilst interpreting it for the reader, all the while retaining the integrity of the original materials. ...This is an interesting book and one that can deservedly claim to be ‘unique’ amongst the veritable flood of memoirs and personal accounts currently available. As well as depicting a more personal side of Douglas Haig that challenges some of the preconceptions that are often held about him, the book also provides an interesting account of one man’s war and how he conveyed his wartime experiences to his family back home..
As featured in The Irish Times. 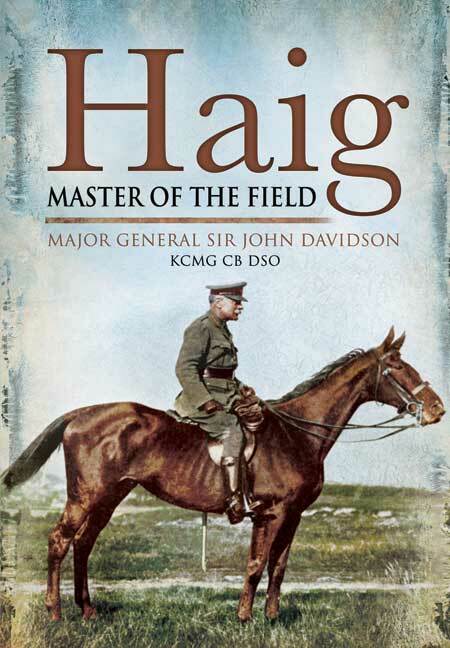 I found “Haig’s Medical Officer” a good and very interesting read. It is well illustrated with copies of extracts from the diary and other documents, together with many portrait photographs and images of places both contemporary and modern. In particular there are some very good images of 18 Casualty Clearing Station at Lapugnoy when Ryan was there. Inevitably an editor of a diary has to explain some background and context, and grandson Eugene does this well, without swamping the original text. Very nicely edited, well produced and well worth reading.